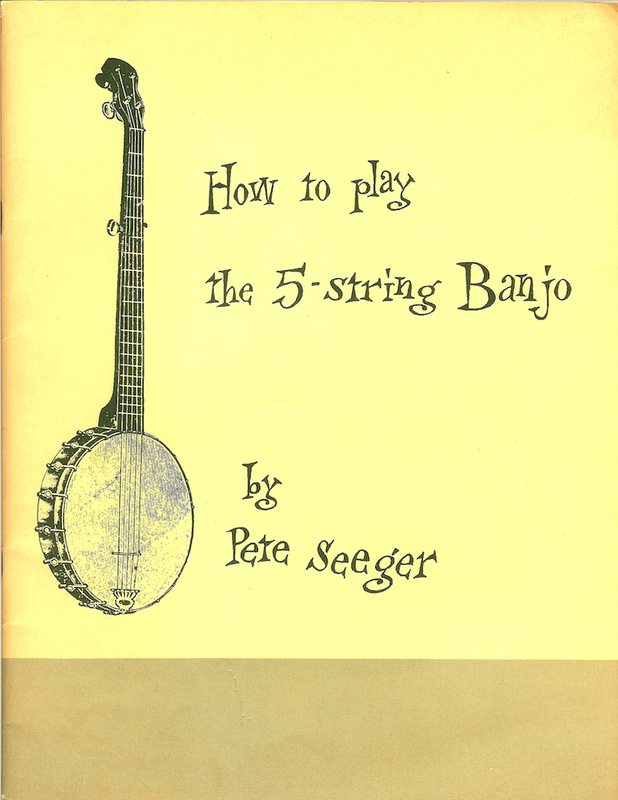 During the summer of 1935, the same year he moved his family to Washington, Charles Seeger took his son Pete to a mountain square dance and music festival in Asheville, North Carolina. This was the event begun and run for many years by the legendary Bascom Lamar Lunsford. Here Pete, sixteen years old at the time, heard his first folk music. He says that it was love at first sight, after hearing a five-string banjo being played and listening to old ballads about lords and ladies. It’s probably safe to assume that if Seeger had not taken his young son on that fateful journey, there might have been no renewed interest in folk music. Pete Seeger: “Bascom Lamar Lunsford. He gave me my first lesson in playing a 5 string banjo. Instead of going and just playing chords, clunk, clunk, clunk, you’d pick up on maybe the middle string and then pick up on the first string, five notes higher. And then come down with your thumb on the fifth string. Gradually, I didn’t learn this all at once, I learned you picked one of the strings with your left hand. So now I could get four beats there. Up on the middle string, plucked the first string with your left hand – my mother says that on the violin that’s called Left Hand Pizzicato. I just call it pulling off, but you know my phrase has been picked up by the whole music world now. Guitar pickers all around the world, it’s pulling off when you play a note with your left hand. And sometimes you can, instead of pulling off, you can hammer down on one of the strings, usually a lower string. You pick it with your right hand and then come down strongly on the fretboard with your left hand and the string is still vibrating in the new pitch. And of course, a man named Earl Scruggs invented a way to divide up 8 short notes into 3, 3 and 2, that adds up to 8. In 1935 I was sixteen years old, playing tenor banjo in the school jazz band. A good deal of song collecting was being done under the auspices of different government agencies such as the Resettlement Administration. Such work was called boondoggling at the time, but through the work of these agencies, the famous Library of Congress collection was first built up. My father, Charles Seeger, as an expert in several branches of musical scholarship, was involved in these projects. And I accompanied him on one field trip to North Carolina. We wound down through the narrow valleys with so many turns in the road that I got seasick. We passed wretched little cabins with half-naked children peering out the door; we passed exhibits of patchwork quilts and other handicrafts which were often were the main source of income. I first became acquainted with a side of America that I had never known before. At the Asheville square dance and ballad festival I fell in love with the old-fashioned five-string banjo, rippling out a rhythm to one fascinating song after another. I liked the rhythms. I like the melodies, time-tested by generations of singers. I liked the words.